Creating a campus feel with new signage. Nashoba Valley Technical High School is a regional high school located in Westford, MA. The school offers both full time technical training at the high school level as well as evening classes for adults. The school also has a restuarant, hair salon, veterinary services and other services offered to the public as part of the student training. 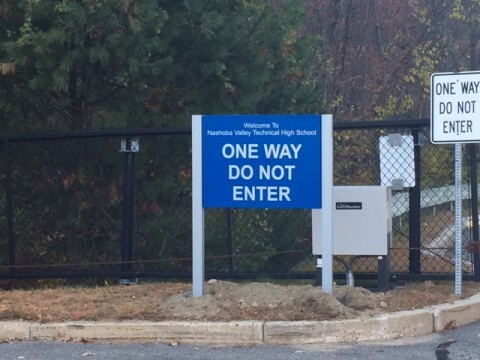 The Principal was looking for a new sign package for inside and outside of the school to create a more professional/college campus feel and better direct students, parents, staff and visitors to where they needed to go for classes, sporting events, and the school mall/service center. We worked together with the Principal and her associates to develope signs that would accomplish their goals of better directing traffic inside and outside of the school. The package comprised of new exterior directional and informational signs as well as new Shop/Room ID signs and new interior directories. 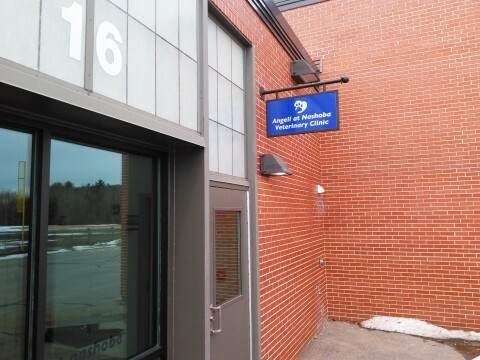 For the exterior signs, we used 4″ deep box style post and panel aluminum signs which were powder coated to match the school colors. 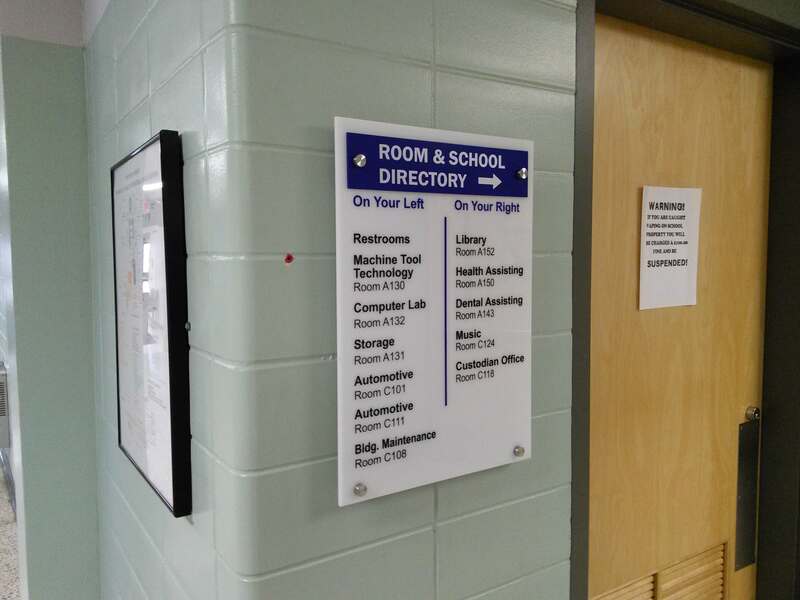 These signs were used for wayfinding and directional signs along the driving route through campus. The interior signs were fabricated using acrylic projecting shop identification signs with vinyl lettering. Signs were vinyl lettered to allow for easy changeout of information should a shop move or expand. Custom acrylic signs with brushed aluminum standoffs in various sizes were used for the interior directory and directional signs. 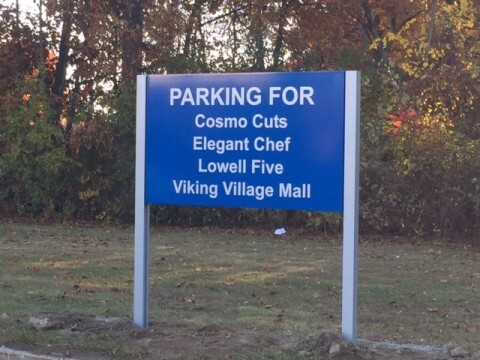 Again we used vinyl lettering to allow easy updating of the signs in the future. The project was successful in creating a professional campus feel for the school and improving wayfinding. The use of the school colors allowed the school to carry its branding throughout the school and increase school spirit.